Is Cow’s Milk Good For Me and The Planet? Is Milk Healthy and Sustainable? 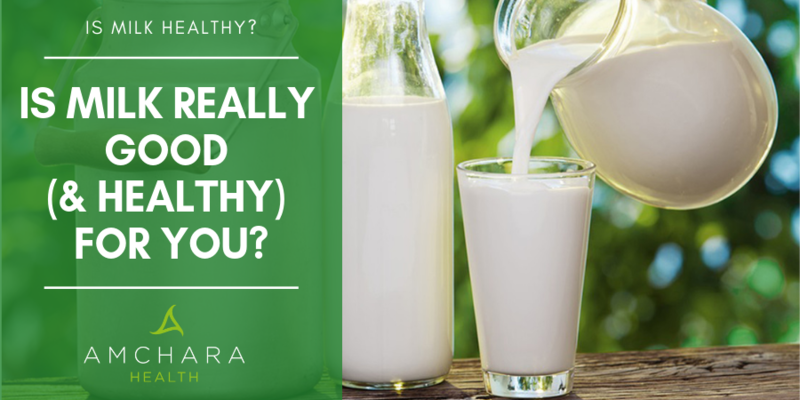 There has long been a difference of opinion between natural therapists and the mainstream medical profession when it comes to the health benefits – or otherwise – of milk and other dairy products. Is Cow’s Milk Environmentally Friendly? Milk – a Necessary Part of Our Diet? The NHS in the UK still recommends 2-3 servings of dairy per day as a source of protein and calcium. Most natural therapists argue calcium is better obtained from green vegetables such as broccoli, spinach or rocket. Seeds, especially sesame seeds are also high in calcium. Protein is easily obtained from oily fish, chicken and vegetable sources such as lentils and quinoa. Sadly, vegetable intake in the UK is woefully low. A mere 31% of adults and a shocking 8% of teenagers meet the 5 a day fruit and vegetable intake. Teenagers eat on average just 2.7 portions of fruit and veg per day, according to Public Health England (1). Teenagers have a relatively high calcium requirement as they’re still growing. So dairy products, which contain plenty of calcium, seem to be a quick win because, in many areas of society, milk intake is high compared to vegetables and seeds. This is partly because although the UK is the third-largest milk producer in Europe, milk prices are in decline, according to a UK Government report in 2016 (2). Many practitioners argue milk contributes to brittle bones rather than making them stronger. Although milk does indeed contain high levels of calcium, looking upon milk as a saviour to our bones is somewhat simplistic. One large study (3) looked at over 10,000 Swedish men and women over a period of twenty years and found milk drinking was positively associated with increased risk of fractures, mortality from all causes along with higher inflammation and oxidative stress markers. Milk contains lactose, which is a type of sugar. Lactose can be tricky for us to digest. Cats, hedgehogs, mice and in fact most mammals don’t drink milk in adulthood because after weaning they lose the ability to produce lactase, the enzyme which breaks down lactose. This causes lactose intolerance. It’s the same in many people. Naturally, our production of lactase declines after weaning. In some areas such as South-East Asia, lactose intolerance is the norm, occurring in around 90% of people. Around 65% of the world population, in general, can’t digest lactose as adults. Only around 15% of the UK population, however, lack the enzyme, so many people can digest lactose just fine. This appears to be the result of a gene mutation. Somewhere along the evolutionary line, a gene mutation resulted in the LTC gene - which gives instructions for producing lactase – persisting into adulthood. So in actual fact, an ability to digest milk is unnatural, rather than the norm. So much for digestion of milk sugar. What about protein? Milk is a high protein food, containing 3.4g protein per 100g. The main protein found in milk is casein. One scientific study which followed over 130,000 people for over 30 years found eating a greater proportion of their protein from plant-based foods was associated with lower mortality from all causes (4). Many natural practitioners believe excess protein, especially animal protein creates an acid environment in the body. If body tissues are too acidic, the body compensates by ‘borrowing’ calcium from the bones to help bring the pH back to what it should be. Sadly, the body’s not so good at replacing the lost calcium and therefore over time, this can lead to bone demineralisation. Following on from this, many natural therapists suggest milk can cause bone degeneration by causing calcium to be lost from the bones, although research has so far been inconclusive on this matter. Science is also finding milk may be connected with hormone imbalance, namely oestrogen dominance which can lead to all sorts of health issues like fibroids, PMS and even oestrogen-dependent cancers. This is because milk contains hormones naturally secreted by the cow. Milk intake has also been connected with prostate cancer, Parkinson’s disease, colorectal cancer, skin irritation such as acne, and asthma. So why does mainstream medicine so dogmatically insist on us drinking milk in order to be healthy? A quick internet search will throw up dark mutterings of studies into the health benefits of milk being funded by the dairy industry. Its well-known studies funded by specific sectors of an industry are far more likely to lead to results favourable to the sponsoring organisation. This effect has even been the subject of scientific reviews, and it seems this particularly holds true when food companies are funding research. One review study looked at over 150 studies with connections to the food industry. Of these, just 12 resulted in outcomes unfavourable to the sponsor’s interest (5). A look behind sensationalist headlines such as ‘Dairy-Free Diet Risk to Bone Health’ reveals the article concluded it’s perfectly possible to obtain sufficient calcium from vegetable sources. But to anyone simply reading the headline, this wouldn’t be the message they took home. There’s a sign things may be changing, however. In Canada, a new Government food guide containing healthy eating advice has just been released. For the first time since the guide was first published in 1942, dairy products are not recommended. Instead, Canadians are now advised to cover half their plates with fruits and vegetables, a quarter with starches or grains and a quarter with protein. The changes have been praised by supporters of plant-based eating but criticised by the dairy industry. Health Canada, who compiled the guide, deliberately did not look at any research which had been funded by the food industry. It is odd we are so dependent on dairy as a society. Not only are we the only known species who drinks the milk of another animal, but we’re also the only species which drinks any kind of milk after weaning and into adulthood. Even cows don’t drink their own milk after they are weaned. Milk contains the nutrient makeup it does so it provides exactly what a young calf needs for its development. They won’t necessarily be the ratio of nutrients we need. We started drinking milk only relatively recently in evolutionary terms. It hasn’t been the norm in countries like India and China until the past few decades. There’s a cost to the planet from milk-drinking, too. According to the World Wildlife Fund, there are 270 million dairy cows in the world. They are all busy producing manure and greenhouse gas emissions such as methane and nitrous oxide which are contributing to climate change. Cows need a large amount of land, fertilizer and water. More energy is needed for the processing, packaging and delivery of milk. If manure and fertilizers are not disposed of properly, they can pollute local water resources with nitrates, phosphates, bacteria and viruses. Farms themselves are huge consumers of water. Because the cost of dairy products to the consumer has dropped so dramatically in the UK, small farmers have been forced out of business and we are starting to see the appearance of huge mega-farms. These are not only a concern from an animal welfare standpoint but are unsustainable from an environmental point of view and can result in the loss of ecologically important habitats. What about the alternatives to cow’s milk? Sales of plant-based milks are booming, so much so a recent worldwide shortage of oat milk ended up with one-litre cartons changing hands for $25 a pop. Let’s have a look at the pros and cons of non-dairy milks both in terms of our health and the planet. Soya milk is the original plant milk and the one most people think of first if ditching the dairy. Consumption in the UK is huge – it’s the most popular alternative milk and over 80 million litres of it is drunk annually. It contains plenty of protein and carbohydrates. It also gives us B Vitamins, Vitamin D and calcium. However, soya is not great for us or for the environment. The UK imports around half its soya beans from Brazil. Growing soya needs large amounts of land, and it’s been responsible for the deforestation of huge areas of Brazilian rainforest. Soya has been the subject of much debate regarding possible health risks including in relation to hormone-dependent diseases and its role in thyroid health, but research is still ongoing. Soya is also often genetically modified. With plenty of other plant-based milks available and soya so prevalent in our foods today, it wouldn’t be our first choice. Almonds have fantastic health benefits, including Omega 3 essential fats, protein, fibre, magnesium, Vitamin E and calcium. However some almond milk only contains about 2% almonds, and manufacturers often use thickeners like carrageenan for a creamy texture. Carrageenan has been linked in studies to inflammation. The environmental impact of almond milk is also fairly high. Due to the increased demand for almonds to make into milk, many growers are grubbing up their relatively diverse citrus crops to plant almonds as a monoculture crop. Almonds have also had a bad press in the USA as they need a huge amount of water to produce – an average of just over four litres to grow just one almond. Added to this, many almonds are sourced from California, which has been suffering from droughts over the past nine years. Just to put the thirsty almond into context, however, it’s been calculated cow’s milk needs over 1000 litres of water to produce one litre of milk. Rice milk is naturally sweet so it’s great on cereal or in coffee. It contains a higher proportion of carbohydrates than dairy milk and lower levels of protein and fat. Rice is farmed all over the world. It’s a staple crop in many countries, which means farmers have gone to great lengths to increase yield, in turn leading to higher pesticide and fertiliser use. It too requires a lot of water to produce. Some years ago it was reported some rice was contaminated with arsenic, which had leached into the paddies where the rice was growing. This happened largely in the case of rice grown in Bangladesh, but arsenic was also found in American-grown rice. Therefore it’s best to choose organic rice milk. Rich and creamy, coconut milk is made from coconut flesh mixed with water. Its creaminess comes from its saturated fat content. All saturated fats are not equal, however, and coconut milk contains medium-chain triglycerides, which are easily utilised for energy and aren’t associated with negative health benefits. Coconut milk also contains some protein, vitamin C, folate, iron and magnesium. Coconut milk probably has the lowest environmental impact, as the trees only grow in tropical areas which receive plenty of rainfall. Only small amounts of pesticides and fertiliser are usually used by coconut farmers. Coconut trees also filter out carbon dioxide, in so doing reducing greenhouse gases. However, it has to come a long way from where it’s grown to reach our shores. Hemp milk is made with water and hemp seeds. It has a nutty, creamy flavour. It contains Omega 3 and 6 fatty acids and is a good source of protein – delivering all the essential amino acids. It also naturally contains iron and calcium. Hemp production is fairly eco-friendly. The plant is grown without depleting excessive nutrients from the soil and it’s hardy, meaning less water is needed and fewer pesticides are used. Hemp also breathes in even more carbon dioxide from the atmosphere than trees. Oat milk is great in coffee as it’s naturally creamy, hence the hysteria when a production issue made it hard to obtain. Oat milk also contains B vitamins and Vitamin E, and it often has calcium and Vitamin D added to the production process. It doesn’t contain a significant amount of protein. Oats have a low environmental impact, as they don’t use huge amounts of water. Oat hulls not used to make milk are often used as an environmentally-friendly fertiliser. A relative newcomer to the plant-based milk market, cashew milk tastes similar to almond milk. Cashews can be grown using less water than almonds. Like almond milk, however, there aren’t a whole lot of cashews in cashew milk, so unless it’s fortified with nutrients, it doesn’t contain a great deal of nutrients. Nut milks including cashew milk are simple to make at home, which means the environmental impact of the milk’s packaging is avoided. While any plant milk has an environmental impact from growing the crop, shipping and packaging, plant-based drinking is undeniably better for the planet. When it comes to what’s best for our bodies, the arguments for and against drinking cow’s milk will no doubt rage for many years to come. Science is demonstrating time and time again plant-based eating is superior in so many ways, while milk affects all our body, not just our bones, and not always beneficially. 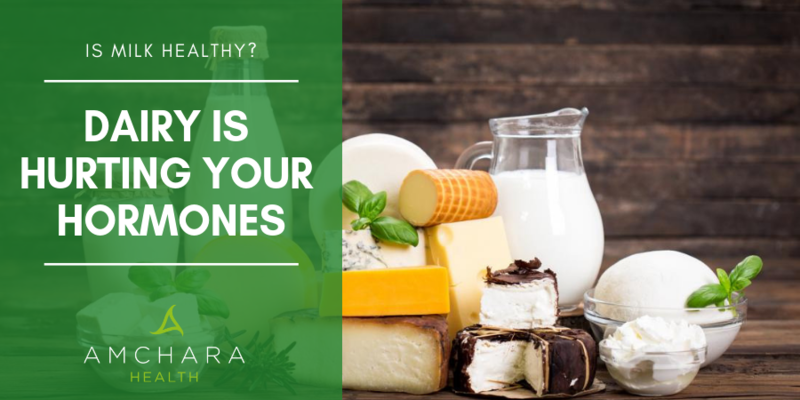 Obviously, we need to ensure we’re obtaining enough calcium from other sources, but if we choose whole unprocessed foods containing the whole range of nutrients not simply for bones but for our overall health, there’s no reason we should need dairy. We’re all unique in our nutritional needs. Functional medicine recognises no two people will have the same dietary needs. 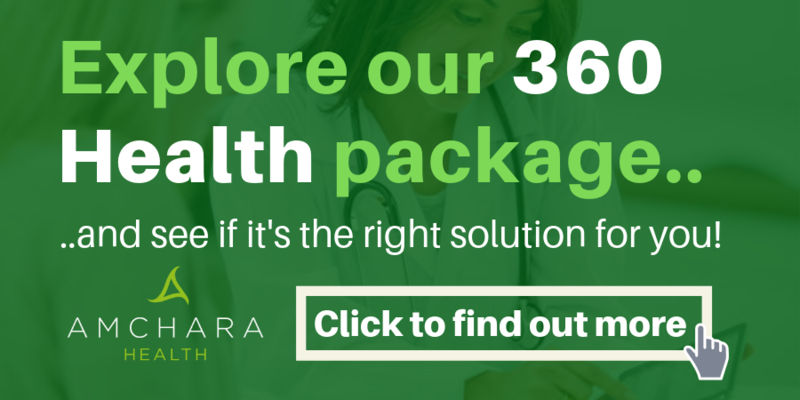 A consultation with an Amchara practitioner, combined with testing to reveal your individual genetic influences can determine how you can maximise your health through diet. Did you find this article useful? Do you have a favourite non-dairy milk?